Chris was always destined for a career involving the natural sciences having been obsessed by plants and animals from the time he could read. 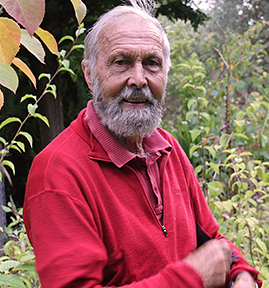 His career has included conducting plant surveys and collecting expeditions, field experiments dealing with many aspects of crop production and plant breeding, plant disease diagnosis, plant propagation, teaching and horticultural advisory work. He also owned a commercial pipfruit orchard and packhouse, and a fruit and ornamental plant nursery that introduced many new cultivars to New Zealand and rescued numerous varieties from old gardens. Chris’ involvement with the Trust began in 2003, when he and fellow plantspeople were invited to visit to provide future planting ideas for the Arboretum.